VillageReach announced today that effective immediately, Med25 International, a Seattle-based non-profit, will be integrated as a new program within the VillageReach portfolio of health system innovations. The integration represents a full transfer of Med25 operations under VillageReach. Med25 brings more than 10 years of experience driving social innovation, creating income-generating businesses to support healthcare services in rural and remote communities. “I am excited to welcome Med25 as a new program under VillageReach,” says Evan Simpson, president of VillageReach. “This addition supports our interest in developing new approaches for social enterprises aligned with our mission. By combining Med25’s leadership and experience with VillageReach’s established networks in the communities that we already work in, we have an opportunity to significantly expand the impact of Med25, increasing access to quality healthcare in more communities,” says Simpson. Med25 Founder, Rebecca Okelo will join VillageReach as the lead program manager of Med25. Established in 2006, Med25 worked primarily in Ghana and Kenya to build health system infrastructure and services sustained by income-generating businesses. For example, in Kenya, Med25 worked with the community to build and run a mortuary that provided a much-needed service to the community while also generating revenues to support local health system infrastructure (clinics, water services, power grid, etc.). In Kenya, the health services and businesses established by Med25 are 100% self-sufficient and independently operating today. VillageReach has a long history as a social entrepreneur in the health sector. One of its founding projects, VidaGas, created a social enterprise to provide a critical source of fuel to rural health centers in Mozambique. Today VidaGas is one of the largest propane providers in Mozambique. Since then, VillageReach’s focus has evolved beyond health infrastructure to include other key barriers to healthcare at the last mile including accessibility, information and communications, supply chain and human resources. VillageReach works in countries throughout sub-Saharan Africa including Mozambique, Malawi, Tanzania, and the Democratic Republic of Congo. 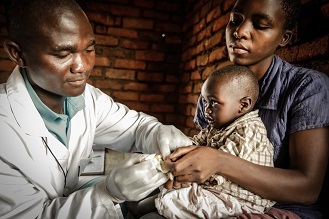 VillageReach is a non-profit global health innovator that develops, tests, implements and scales new solutions to critical health system challenges in low-resource environments, with an emphasis on strengthening the “last mile” of healthcare delivery. VillageReach combines expertise across public health, technology, and business to bring life-saving innovation to scale and sustainability in the world’s most underserved communities.